I am Danny from Beijing, China. Today, I want to share some of the public realization about STEAM Education in China and my personal experience with it. The title of my presentationAnother Song of Ice and Firecomes from the series of novelsA song of Ice and Fire(also known asGame of Thrones) There were three reasons why I borrowed that name. 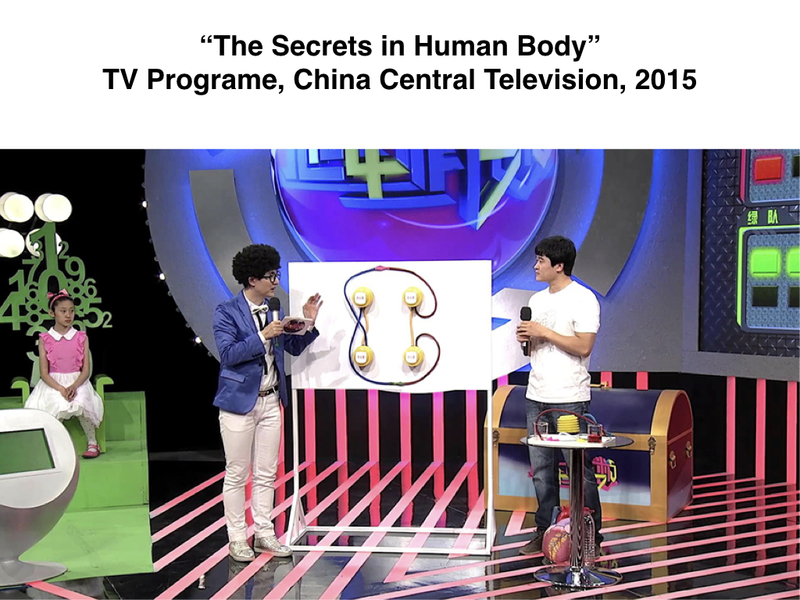 The Stories about STEAM Education in China were too many to count. While some stories showed the possibilities of STEAM Education, others were doomed to failure. We don’t have enough time to enjoy all the episodes in one hour. So, let us start quickly. I want to show you some data from Deloitte about the investments in the education industry from 2016 to June 2017 in China. This analysis result shows us that Technology Education was the super star in the investment market and we can see that STEAM Education made a lot of contributions to it. As an educator in school, I have noticed the results about STEAM Education in and out of our campus. 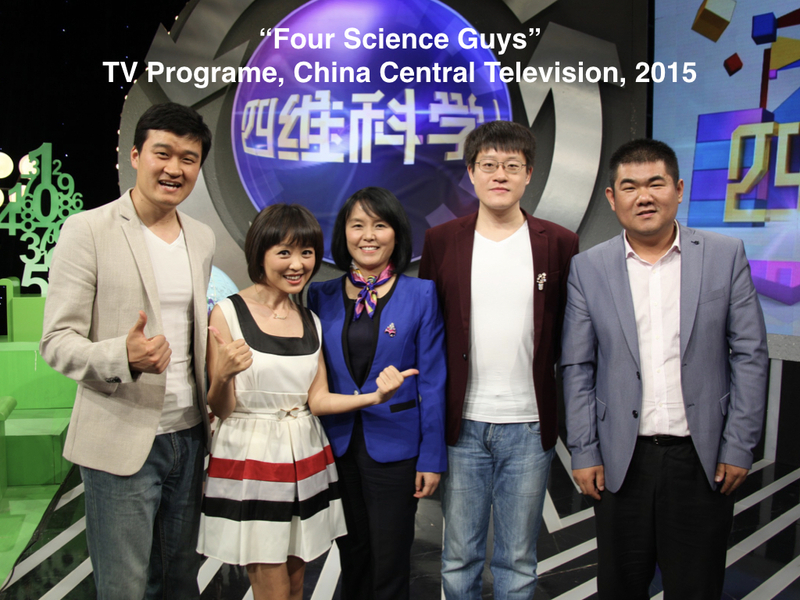 I worked as a life science teacher in a public school in Beijing for ten years. The School I used to work in is one of the top-tier Chinese public schools, which has 6 grades, from Grade 7 to Grade 12. I first heard about STEAM Education from a lecture for subject teachers at our school in 2011. After that, I found more and more opportunities for me to explore STEAM Education in a lot of different situations. STEAM Education was popular in primary & middle schools but not in high schools. Many STEAM programs had STEAM sounding titles, but not true STEAM content. Why does this kind of situation happen? To answer this question, let’s dive into another deeper question. Why do we learn? ——We learn to live. We learn for fun. We learn to know who we are, where we came from and where we will go. I wish every teacher would think about those questions, and double check what you want your students to learn before teaching STEAM. As a public school student in China, the real situation is that if you want to live, if you want to have fun or if you want to know more answers about yourself and the universe… First, You have to pass the college entrance examination (Gao Kao), the only way to bright future for students. 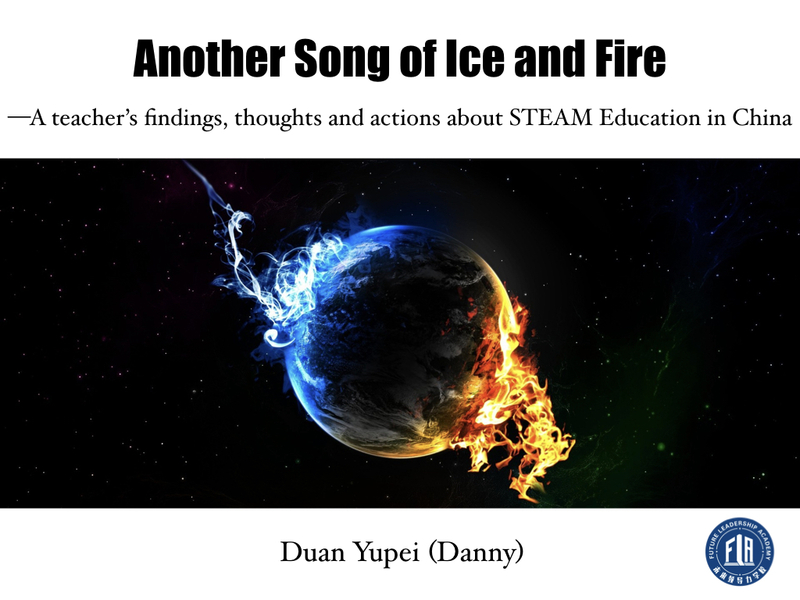 Since STEAM Education cannot be easily tested with a paper based examination and by Gao Kao, high schools, students and their parents seldom budget more time for STEAM. The teaching style and ideas in school are always affected by education policy makers. A lot of teachers believe that the fancier the ideas are, the better the quality is. 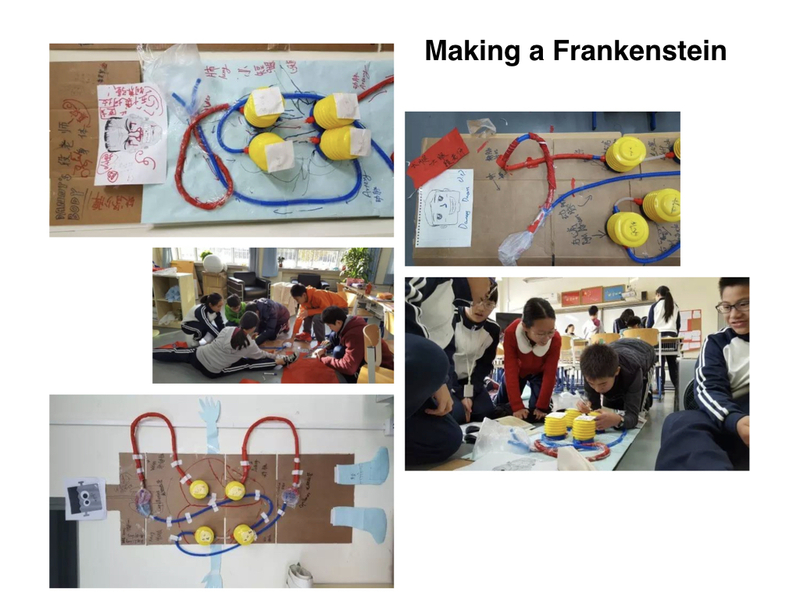 Even without understanding the definition of STEAM Education, a great number of workshops, panels and conferences about STEAM education erupted like volcanos in China. I witnessed one STEAM Education conference where the Chairmen of the conference used STEM but not STEAM from the beginning to the end of that STEAM Education conference. I also observed a STEAM program titled, “The Careless Chicken Mom” for 4th Graders in a primary school. I saw that the teacher tried very hard to show Science, Technology, Engineering, Arts, Mathematics in 40 minutes. That class began with how to classify different kinds of birds, yeah! Biology! Check! Then, how to measure and calculate the size of an egg. OK. Mathematics! Check! Then came another key concept in the class: Buoyancy. The teacher described the chicken mom vividly, “One day, the chicken mom took some eggs with her to go back home. On their way, the careless mom dropped one of the eggs into a pool. How can you help her, my students? “Countless hands went up. A little boy with thick glasses answered, “We learned the relationships between density of the liquid and buoyancy today. So, if we could put a lot of table salt into the pool to add the density of the water, the egg would go up by itself.” The teacher smiled to the boy and showed an experiment at once for all of the students and the observers. Then, they had technology, Check! They had arts, Check! They finally had STEAM as the teacher planned and promised. But I should say that this STEAM program was terrible! The teacher tried to put a lot of different concepts together which were not only nonsense, but also likely left some misconceptions in the youngsters’ brains. When the salt was added into the pool, the density and the composition of the liquid changed. How could other live things survive? Besides that, the egg, which was immersed in the salty water, also could not be hatched normally in a real wild environment. We as educators should double check before teaching STEAM. What the content should we double check? Let’s come back to the deeper and more important questions again: Why do we learn? —— We learn to live. We learn for fun. We learn to know who we are, where we came from and where we will go. As a science teacher, that’s my starting point for teaching. I want to make science fun. I want my students to learn the concepts more easily. 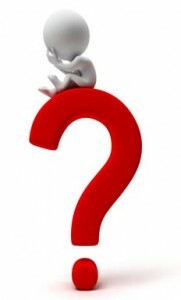 I want to know more whys and I want to help my students know who they are. As a life science teacher, I have tried to prepare a lot of hands-on activities in Physics, Chemistry and Geography. Why would I need to do that? Because they could help me to teach life science better. 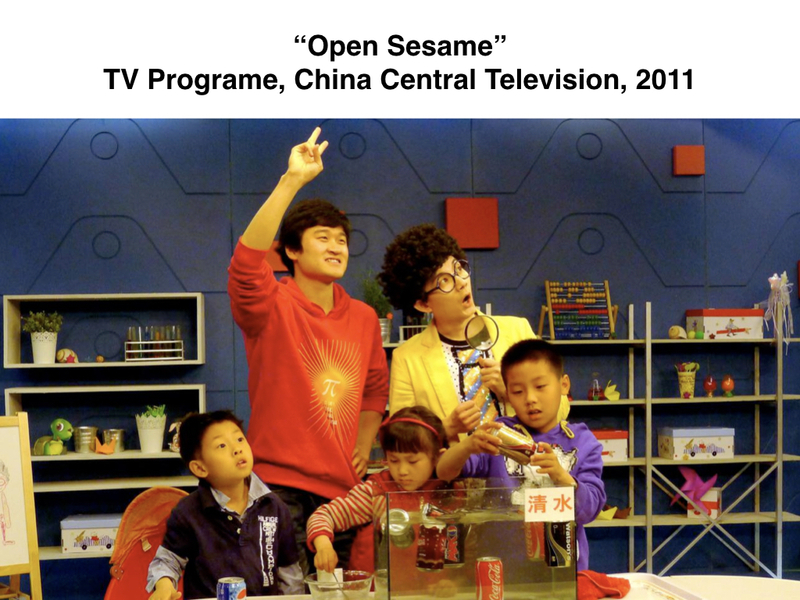 Some of the activities were recorded by China Central Television and broadcast on the program called “Open Sesame”. After that, I tried harder to make my teaching better and better. I encouraged my students to play science with me. If they want more fun from playing, they need to learn how to design, how to cooperate, and how to calculate. I am telling you, my students could not stop learning and they would not like the time of my class be over. Let me show you an example. We answered the question: how big is the surface of my skin? How could they get the answer? Let’s watch how my students found answer in this video. Finally, I found STEAM Education to be more suitable for me to play science. And then, science learning was not just like a toy waiting to be played, it changed to become a “PLAY” itself. We need to design the characters in the PLAY, set the background for the PLAY, perform, record and publish the PLAY. Why is the PLAY always attractive? Because it is unique. It is full of “Arts” of I should use “Humanity” to instead of “Arts”. Because, STEAM Education pays attention to the “Who” and “Why”. Here is a STEAM program I designed. I will take this as an example to show you the Arts or Humanity part of STEAM Education. First, I will give you some basic introduction about this program. It was taught in Grade 7, which lasted for four weeks. Each week, there were 4 hours for me to use. The courses were mainly designed by my colleague Ms. Jiang, a Physics teacher, and me, a Biology teacher. We would co-teach for 41 7th graders. In the very beginning of the program, we gave the students a question, “what’s wrong with Beijing’s air quality?” Few students noticed the harmful effect of Beijing’s polluted air. Some students did not know anything about air quality. Most of the students knew something about it, but they couldn’t give the reason why. “Something was wrong with Beijing’s air quality.” They had no idea about the relation between air quality and the human health. So, they had no feeling about what should be done for Beijing’s air. 3) How bad the air pollution is! 4) What should we do? In the first part, Ms. Jiang taught the students some physics concepts about the air and she let the students know the air is everywhere and how it it composed with different components. The students then learned the respiratory system and cardiovascular system according to my teaching. Ms. Jiang and I both taught the students the knowledge and the skills via a lot of hands-on activities. After that, the students knew the pollutants in the air would affect the human body badly. Where did the pollutants come from? The students got their answers from the Internet with Ms. Jiang’s help and they expressed their views about the air pollution via posters and a drama which was both performed and directed by students. The name of the drama was “The Hateful Eight” on behalf of eight main pollutant in the air. In the final part, we let the students make some suggestions for the public about how to protect themselves in the hazy weather. The students also could make some presentations about other related topics, for example: Why Beijing’s air is so bad? What do we need to do if we want to decrease the air pollution? How to protect yourself in the smoggy city? Etc,. After that, the students made 4 air purifiers with fans and HEPA filters in groups. Then, they finished designing and make 41 Air quality sensors. They put the purifiers into their own classrooms and sent the sensors as gifts to other teachers on campus. The posters were posted up in the corridors. What a wonderful PLAY we had! What did I learn from STEAM? Everyone has a unique style, and everyone can be a protagonist. 2,500 years ago, in Ancient China, Confucius joined with his students to learn that “Time flows away like a river, so we need to seize the day.” When they walked by a fast running river. (子在川上曰，逝者如斯夫) As educators, we need to engage our students with different materials, concepts and experiences. Let the students be themselves in the future. Before this, every teacher needs to figure out one question: where do I want to bring my students? Where do I want to bring more teachers? I recently joined in a founding team for a new private school which covers Pre-k to grade 12. 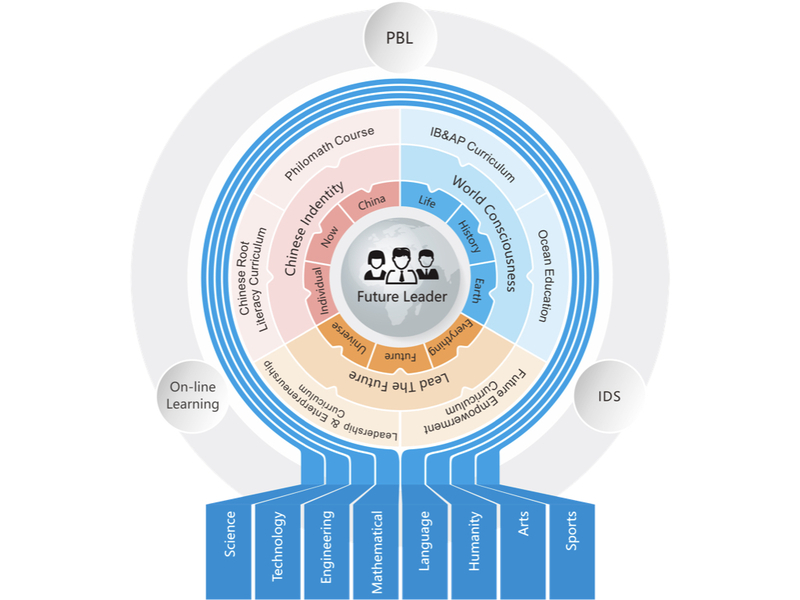 We designed the framework of our curriculum with STEAM style. Every subject teacher in our school will pay attention to what other subjects are teaching, because we want our teachers to grow with the students, learning new things and cooperating with each other. Maybe next year, I could share more PLAYs from my new school with you. 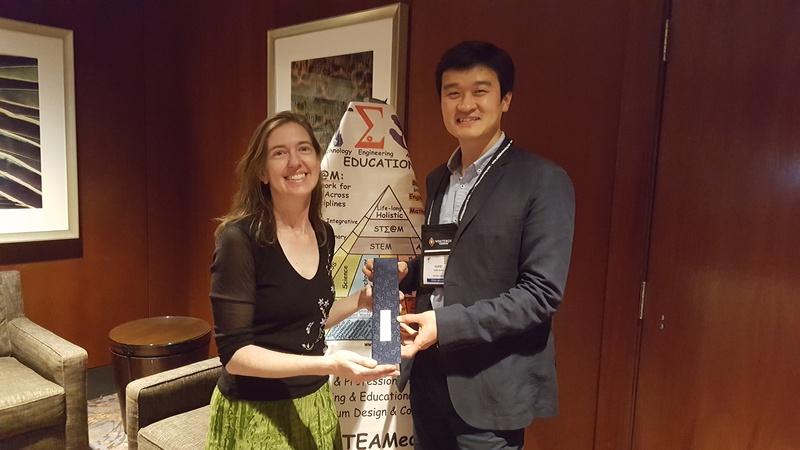 These are my findings, thoughts and actions in STEAM Education in China. Just like Another Song of Ice and Fire——to be continued.